In the writing world there are many different types of conferences. Starting with the giant mega-writer’s conferences and going all the way down to a single day workshop. Penned Con set out to do something a little different. This is the third year for this unique book event. Set in St. Louis, Missouri, Penned Con looks to bring authors and readers together in a two-day book event packed with authors. Best of all the entire event centers around raising money for charities. 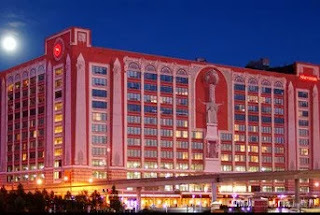 The main event is a two-day book fair, where authors from around the country will descend on the St. Louis City Center Hotel and Suites at 400 S. 14th St. St. Louis, MO 63103. A beautiful hotel sitting right beside Busch Stadium. Over 150 authors will be selling their books, one of the largest gathering of authors selling books that you will find in St. Louis and the greater region. Penned Con also offers writing workshops, panels, and keynotes speakers throughout the two-day event, and the whole event culminates in an exciting tradition, the Penned Con Luau. A charity dinner held as the last event of the weekend. Tickets to Penned Con start at $15 for an all-day Friday pass, and run up to $130 for the full package with full attendance for the weekend, access to all the workshops, panels, keynote speakers, a t-shirt, lunch and the luau dinner. A two-day pass which gets you into the book fair, the workshops, panels, and keynote speakers will run $35. In St. Louis, check out this great event that bring a premier literary event to our city. 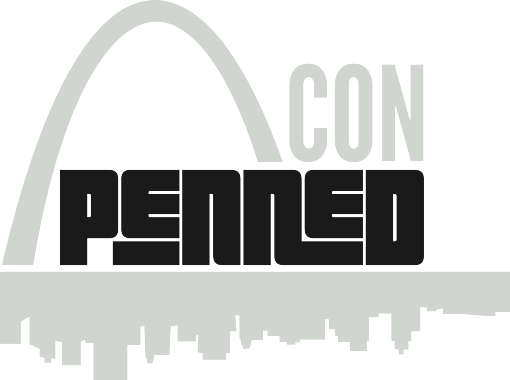 Outside St. Louis, consider planning a visit around Penned Con.